In between recording my own album I’ve been doing a little singing work in London and so had to make a few trips there this year so far. Usually I find travelling carry things is a bit of a hassle and cities can be busy and crowded, so I made myself take some time out when going down this time. It’s worth it, suddenly when I stopped being in “work” mode I started to notice how beautiful the city actually is! I think one of the reasons I usually get stressed in cities is because I love colour and I find some of them quite grey and cold looking. Everyone around me knows I have a bit of an obsession with turquoise, blues and fuchsia pink and purple, don’t ask me why!! But, if you keep your eyes open you can spot anything, anywhere! 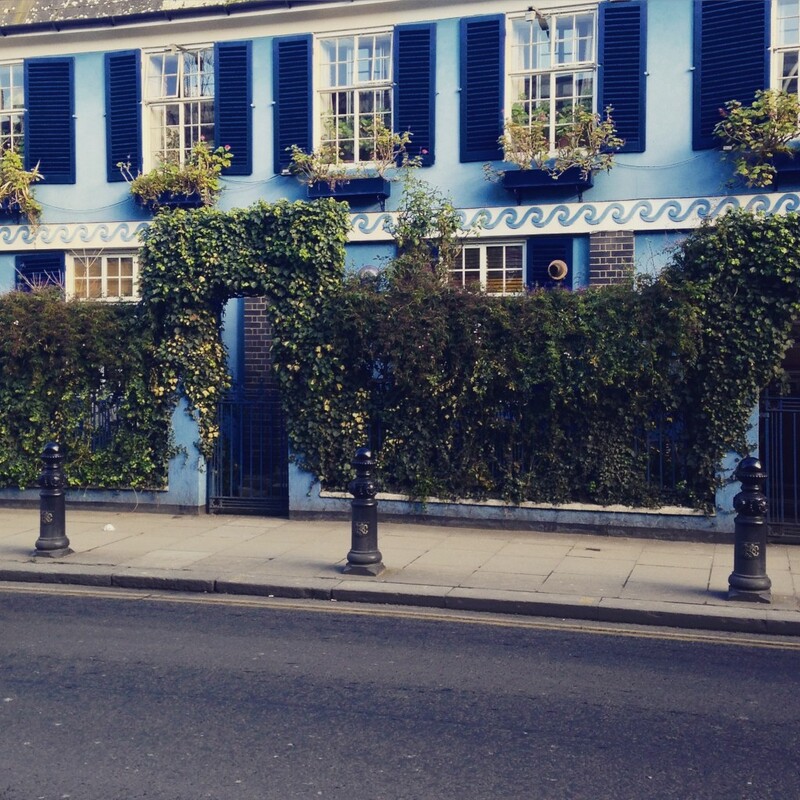 I went over to Acton on the most freezing day of the year I’m sure, so as a stop in between I got off at Notting HIll instead, had lovely fresh food from an independent Italian cafe and admired the shades of blue on these houses opposite! 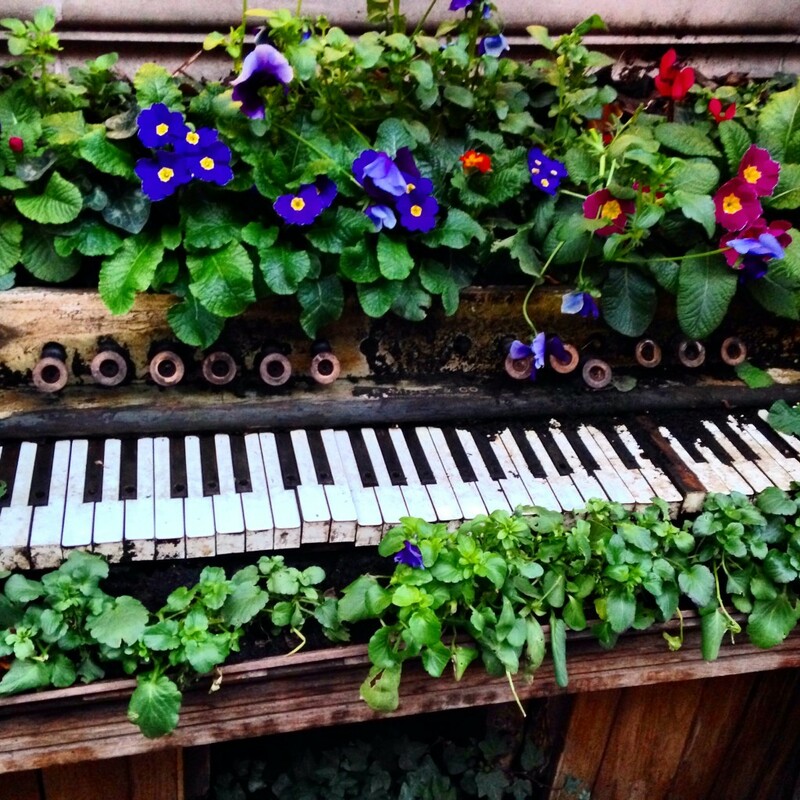 Then one day walking through the centre of London near Covent Garden again along the side of a seemingly ordinary street I see this wooden bench plant holder with a wooden piano design in it, decorated with my favourite colour flowers. People laugh when I say the simple things in life please me, but it really is true. I don’t need fancy at all. April 3, 2015 by Shelly Quarmby | Comments Off on London inspiration!